I want to tidy up my contacts list. I've got all my contacts on Google, Facebook and my phone, so I sometimes get three phone numbers (actually the same phone number repeated three times) for each contact. Also, I have some syncing issues where contacts will randomly unjoin and I'll have three or four duplicate contacts in my phone book. Is is a good idea for me to delete my phone contacts, and just have synced Google and Facebook contacts on my phone? I'm wondering if I will have any issues running a phone with 100% synced contacts. I don't want them to disappear or anything. Also, the big question, how do I delete all my phone contacts without deleting them from Google account? Last time I tried this, I nearly had a heart attack when I saw my Google contacts disappearing from the server one by one. Thank goodness Google can restore contacts to an earlier state. I found Contact Remover by HolyHog Software. The part that I'm worried about is re-syncing my Google contacts to the phone though. If I re-sync after deleting the phone contacts, do you think they'll delete off the server? I've just finished deleting all the contacts. Even though I turned off Google sync, the phone still tried to delete all the contacts off Google's servers once I started syncing again. My suggestion for this would be to filter out all contacts but the phone contacts in the phone book and then delete them. When this is done you simply change the filter settings again so it shows the Google contacts. Problem was, most of the contacts were already joined, so deleting them was deleting the contact from Google too. I finally just wiped them and used Google's restore function to bring them back. As contact syncing and joining is becoming more integral in mobile phones, especially with Facebook Inside Xperia, I strongly strongly suggest that Sony Ericsson provide a contacts management app. After I re-synced my contacts, it took me almost an hour to go through my 400+ contacts one-by-one and to sync them all up to Facebook. A few very simple lines of code could do the same thing in a few seconds. It really shouldn't be necessary, as most of my contacts had exactly the same names on Google and Facebook, as well as matching information like email and phone number. Firstly, we really need a search function that will scan your whole phonebook for duplicates. You should be able to set it to search by exact name, partial match on name, as well as matches in other fields like phone number or email address. We should then be able to check and uncheck contacts for "joining", before doing it all as a batch job. Other good back jobs would be to "separate multiple" and "separate all", so that when joining goes wrong (as it still often does) or when people need to delete contacts from a phone without losing them on synced accounts, they can separate the contacts first. I've never developed for Android before, but my experience over the last few days with this phone book really makes me want to make a simple app to do batch jobs like this. "You can restore your android contact list to the state it was at any point within the past 30 days. This is a great way to recover deleted contacts, undo an import, or undo a merge." You can restore to 10 minutes ago, 1 hour ago, yesterday, 1 week ago or custom (selectable days, hours, minutes). Once restored, presumably you can re-sync these contacts back to your device. Good luck and let us know if this worked. 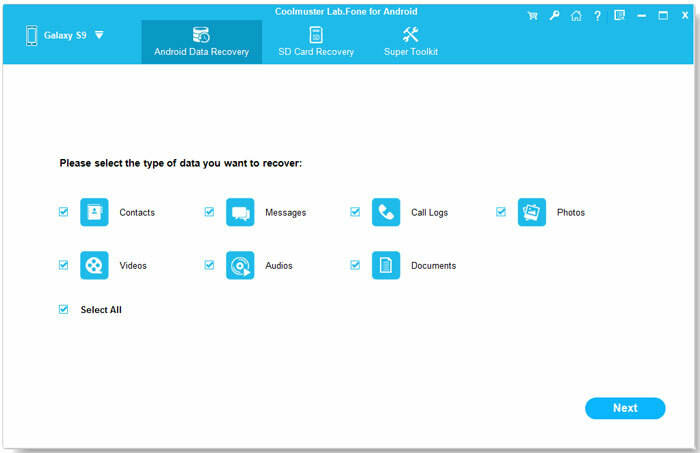 Coolmuster Android Recovery tool which enables you to easily restore not only contacts,but also photos,call logs, messages , music, video and other mobile contents. It offers the most professional solution for any Android users to [url=https://www.coolmuster.com/android/recover-deleted-contacts-from-android-phone.html]recover deleted contacts[/url], no matter what reasons you have got them loss.